Play with TFS 2010 and VS 2010 for free ?? Microsoft has released the new version of a virtual machine with a entire ALM environment (TFS 2010 + VS 2010 Ultimate + tutorials), in trial version until June 1, 2011. By the way, also try the "TFS Integration Platform" from CodePlex to extend the power of TFS outside its traditional usage. Happy testing... and good luck downloading the 9 Gb ! PS : And for the fun, here is Visual Studio ALM Ranger Projects Scrum Guide.... Personally, I found it interesting but REALLY scary at first sight, despite the fact that I have been using TFS for the last 3 years, with Agile, and recently Scrum for about a year !! Wanna get a TS certification with TFS 2010 ?? You can go for the exam-70-512 "Visual Studio Team Foundation Server 2010, Administration". I just wish this was a Wiki so that we could add some more links ! TFS 2010 is great as an ALM tool, what next ?? TFS 2010 is already a great tool for doing an easy ALM with ONLY one tool, and works great with Agile Scrum. So what else could Microsoft will add in the next versions ? It's gonna be much MORE AGILE !!! Source of those information : Brian Harry (creator of VSS and Microsoft Visual Studio Technical Fellow) in the ALM summit 2010. Brian Harry reminded us an interresting information : Microsoft is "dog fooding" TFS 2010 within a large development team "The Microsoft Developer Division has 3,500 developpers users". Another source tells us that this represents terabytes of data. Let's hope the future will start ASAP !!! PS : with still some missing features, so don't forget to check updates and my other post http://memoprojects.blogspot.com/2010/12/alm-tfs-2010-vs-2010-where-to-start.html. During 3 days great and hot topics were presented, among which we can find Team Foundation Server 2010, Visual Studio 2010, and Agile, Scrum. with great speakers (Ken Schwaber, Brian Harry, …). "Soirée de rentrée du SUG le 30 Septembre 2010" is a meeting I attended a while ago. Less days required to delivering a Business Value unit : divided by 2 between 2 major releases. This is because a good Scrum team is not scared to criticize the existing procedures and make them change for the next iteration. On the other hand, a good Scrum team will gather key data into BI tools to analyse them and find ways to optimize things, just like a scientific approach within the Mechanical Engineering industry (such as car production lines). Less defects per release : divided by 12 in about 2 years time, and the trends shows that it tends to zero ! because for a good Scrum Team, a user story can only be done and completed, with a series of strict validations. Moreover the Continuous Integration process based on a large amount of Unit Testing and GUI testing guaranties that we don't have any regressions. The Turn-over of the people within the team is less a problem : This is because of the emphasis on the oral communication and due to the pair-programming to force the exchange of the information within all members of a team. The team hated those daily meetings and talking about what they did... thinking that this method was implemented to spy them. As a result, the turnover was quite important. After a while, not only people got used to it, but they realized that this entire Scrum process helped them delivering better quality product. Another link is : "start tiny to end up huge : the art of the incremental build"
What's inside the WIX package and what do you need ? in Google, I only get 42 results. BUT thoses 2 parameters are essentials to my Workflow ! 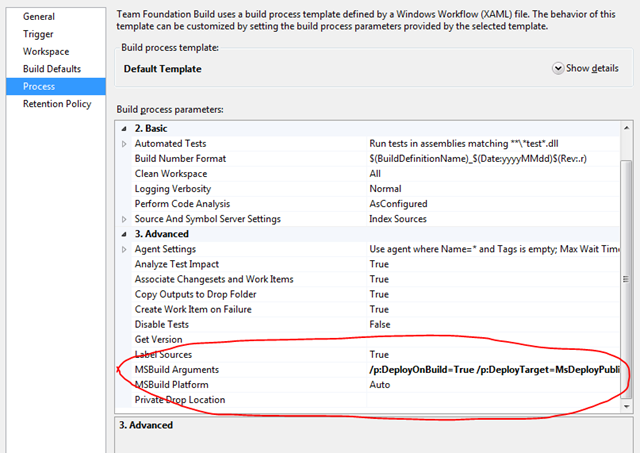 Alternatively, you could use native TFS property such as BuildDetail.BuildDefinition.Name if needed. ALM + TFS 2010 + VS 2010 : Where to start ?
. and an MSDN one from Grant Holliday. by providing them great tools or resources, which is the matter of this Post. Moreover, most of them comes free of charge (indicated by the label [Free]).
. or have an MSDN account or proper license.
. [updated 2011.09.05] Fiddler Http Debugging Proxy [Free] and its Microsoft addon to decode Binary messages : WCF Binary messages inspector [Free] .
. [updated 2011.06.21] TFS Admin tools (http://tfsadmin.codeplex.com/) [Free], for eg. to add a user in both TFS, Sharepoint and Reporting Services in one click ! - or Coded UI given in VS 2010 Ultimate.
. Fissum - A TFS tray icon client [Free]. You could use the Microsoft Web Platform Installer (WPI) to do so easily, and always have the latest available updates. (developped by the MS TFS product group and the Visual Studio ALM Rangers). A good introduction from the MSDN : Walkthrough: Define a Custom Workflow to Deploy a Database from Team Foundation Build (July 2010). Based on the previous introduction, you'll be able to work with WF 4.0 on your Build process template (more than 600 lines of XAML). 2.b. Then, Drag & Drop an Invoke Process activity (from the Team Foundation Build Activities Toolbar), click property to set its parameters. Warning 1: The previous MSDN documentation forgot to mention to add the FileName parameter inside double quotes, this bits of code will be considered as a String by WF4). Warning 2: You will have a red exclamation mark above each new activity in error. This is NORMAL, since once you Drop them, they are not yet configured. A mouse over it will detail the problem. 2.c. Then, add 2 sub-tasks as 2 other activities within the Invoke Process : The WriteBuildMessage and the WriteBuildError. And set them up according to the previous MSDN example. This is only a example where you could drop your 'Invoke process' activity. On 'real' project, you should combine this with If-Then conditions, and add it on anywhere is required. For this test, I placed this new activity at the begging of your workflow to see quickly of if works. Once OK, just Drag & Drop it to a relevant place. 2.d. Once done, all the red exclamation marks will disapear. 2.e. Don't forget to archive this new Build ProcessTemplate, and reference it in the Build Definition (otherwise TFS will not find your changes that are only local). 2.f Option : You could add custom C# from the TFS 2010 SDK code to extend further your process (example here). Else, it's done and finished !! DisplayName="Associate Changesets and Work Items for non-Shelveset Builds"
DisplayName="Associate Changesets and Work Items"
B. How to migrate them from TFS 2008 to TFS 2010 ?? Then, once you run and passed the Gated Check-in (or in fact, any TFS Build), you will find all the codes be be installed in the TFS "Drop folder". First, we have to understand how it works (Ewald Hofman is MVP VS ALM) before specifically use WIX. Then, you should understand MSBuild ; here are the basics from the MSDN : "Compile Apps Your Way With Custom Tasks For The Microsoft Build Engine"
Finally, use this VERY detailed tutorial "Automate Releases With MSBuild And Windows Installer XML" (MSDN Mag). will build and at the end, it will open your NotePad ! http://tfsdeployer.codeplex.com/ but this project has only 140 downloads as per today (dec 2010).